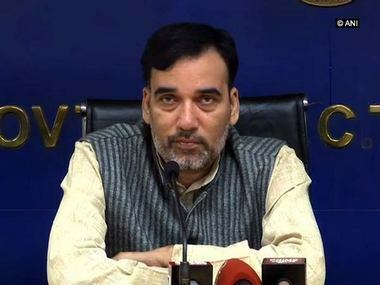 New Delhi: Chief Minister Arvind Kejriwal on Wednesday ordered suspension of Delhi's food and supplies commissioner over alleged irregularities in the ration system detected during an inspection by Food Minister Imran Hussain, while the Opposition called it a "stunt" to cover up failures. The order, sent to Lieutenant-Governor Anil Baijal, to suspend Food Commissioner Mohanjeet Singh came after Hussain submitted a report stating that ration from a shop in west Delhi's Nangloi was found "missing" despite a receipt of delivery. "This is very serious. Food of the poorest people is being stolen. Responsibility ought to be fixed at the highest levels. 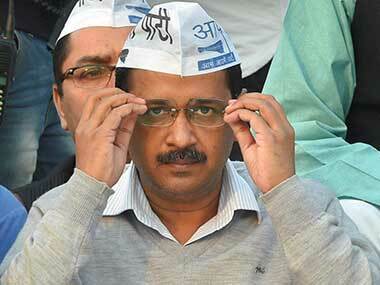 I have directed the suspension of the food commissioner," Kejriwal tweeted. Speaking to the media about the inspection done on Tuesday evening, Hussain said he "found that the ration which was to be distributed to 4,000 people from 1 December onwards was missing. In all, 152 quintals of wheat and 38 quintals of rice was delivered from the godown but when we force-opened the ration shop, it was empty." Hinting at the role of ration mafia in the incident, Hussain said that people living near the ration shop also did not see any truck delivering ration at the shop, "which means that the ration was taken elsewhere". "This is a huge scam. Even after my incessant orders to the food commissioner to inspect these shops, no action was taken. It is not the minister's responsibility to inspect... the commissioner should do it," Hussain said. The MLA from Ballimaran constituency said to stop such incidents, his department has been asking the lieutenant-governor and other officials to start doorstep delivery of ration "but no official accepts the proposal". "We cleared the proposal to start doorstep delivery of ration twice in the cabinet, but no action was taken. I have personally written to the chief secretary and the lieutenant-governor several times but they don't pay attention. "Now, the chief minister has ordered the suspension of food commissioner and if the lieutenant-governor doesn't take action even now, then it will be clear that he is also involved in the entire incident," Hussain asserted. On the other hand, calling the suspension of food commissioner a "stunt", Delhi's Leader of Opposition and Bharatiya Janata Party (BJP) MLA Vijender Gupta alleged that the step was taken by Kejriwal to cover up his failures. "The Delhi government has disastrously failed to provide ration at a fair price to the poor and needy in the four years of its misrule. It is now trying to cover up its failure. It has failed to bring in a viable system for distribution of ration. The only thing it has done is to bring in alluring schemes which could never be implemented. It has now stooped to diversionary tactics such as suspension of the top official," Gupta told the media in New Delhi. He also said the government is "dumping the responsibility for mismanagement". 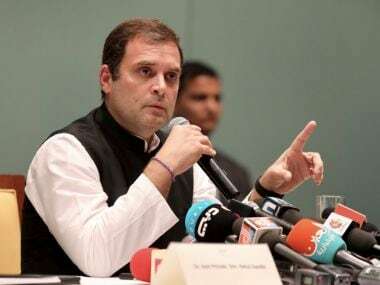 The Leader of Opposition said: "It is surprising that during the two-day session (of the Delhi Assembly), the government did not mention anything about lapses in the ration system. It kept on indulging in politics. Now it has suddenly woken up and taken action to blame the top official. It is trying to mislead and misguide the public." When IANS reached out to Mohanjeet Singh to ask if he was given a chance to present his side, he said: "There is no suspension." "If electronic point of sale (EPOS) had been installed, it would have ensured that no ration is diverted from the shops. "For the last six months, we have been recommending restoration of EPOS to the food and supply minister but to no avail. When installed earlier, EPOS was able to stop pilferage worth crores. Why the system was suspended is for reasons best known to the minister," Singh said.